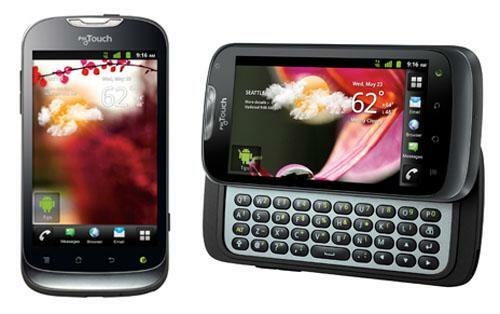 You are here: Home > New myTouch, myTouch Q Smartphones Missing A Megapixel? A bit of a mystery is surrounding T-Mobile’s newest myTouch devices as a new Consumer Reports story reveals these devices, which are billed as having 5 megapixel cameras — only have 3.9 megapixel cameras. According to the report, the problem is a limitation in the camera’s shooting modes, which shows that the myTouch line has only one format, which yields an image of 16×9 made up of 2560 x 1536 pixels, or 3.9 megapixels. This is instead of the 2560 x 1920 pixels, 4:3 shaped images (or 4.9 megapixels) of a standard 5-megapixel camera. The problem is basically how the images are cropped by the camera app itself, where the widescreen aspect ratio is cutting off the top and bottom of the image, effectively lowering the resolution of the image. Needless to say, neither of these cameras are said to be anything to write home about, and this is something that software update can certainly fix, as it’s a software problem and not a hardware one. There’s no telling where the cause or “blame” lies for this, but given that it is an easy fix with a software update, we’re sure now that the oversight has been brought to attention, a software will follow in short order. You know, my girlfriend sent me a pic with hers, and I wondered why it looked to be widescreen. I guess that answers it. Whoa! Scared me there for a second. I have the MyTouch Q by LG, this is about the Huawei models. How do you not know how to pronounce that? Can you say FAIL, on your English? ‘They are’ or ‘They’re’, not ”there”. There is no fail. Just take the picture in a 4:3 aspect ratio, which an actual printed photo is in (which is also the aspect ratio most photos are in), and you get 5MP. I played with one of these at the store today. It wasn’t too bad! The keyboard was better than I thought it would be, although I thought the top row was a bit too close to the bottom edge of the phone (the part that slides). The phone seemed pretty smooth overall. At the end of the day what i do like about these devices is that exxentially they are the same thing as the HTC Mytouch 4g and 4g slide. Both were incredibly well built phones with, and while these are no longer cutting edge they are well built solid devices. junk. They don’t care about their customers. I did notice low quality when i zoom in, but i didnt know the aspect ratio info….